This entry was posted on June 20, 2018, 7:02 pm and is filed under Funny Demotivational Posters. You can follow any responses to this entry through RSS 2.0. You can skip to the end and leave a response. Pinging is currently not allowed.- Report Incorrect Source or Offensive Content? 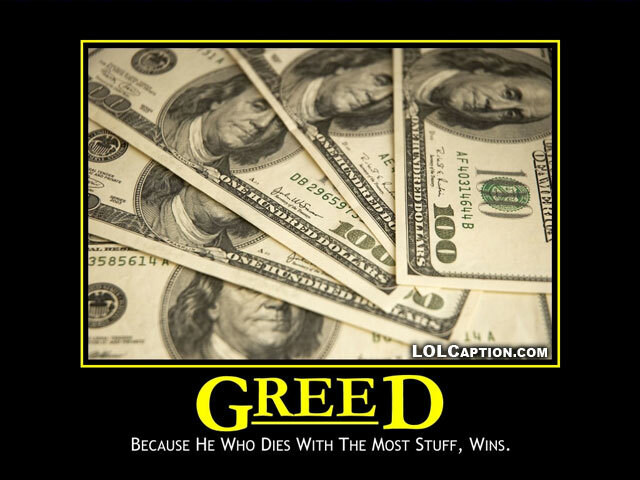 What does a photo of money have to do with greed. Everyone who has a job earns money but not everyone is greedy. I don’t understand this one.